That Pet Place Raises Funds to Support Tripawds! Have you heard? 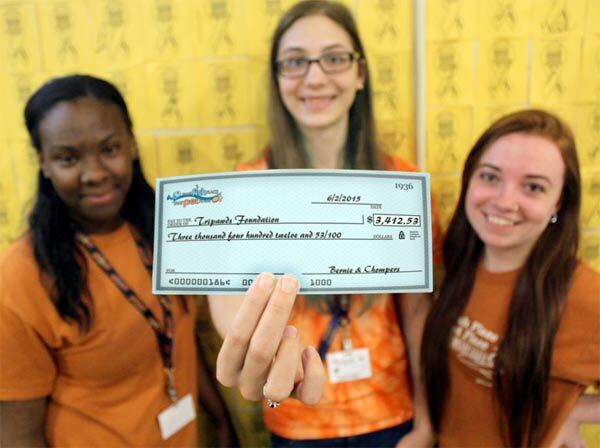 That Pet Place chose the Tripawds Foundation for their 2016 Pet Cancer Awareness Month Charity! Funds raised by That Pet Place Pet to benefit Tripawds during Pet Cancer Awareness Month! That Fish Place That Pet Place in Lancaster, Pennsylvania will be raising funds for the Tripawds Foundation to help raise awareness about cancer in pets with their customers during the whole month of May. All funds received will directly benefit three legged dogs and cats who have lost a limb to cancer, and for other reasons. Tripawds offers free resources and support to people facing amputation for their pets, which results in better recovery and care for our three legged friends! The Tripawds Foundation is honored to be selected as their chosen charity by That Pet Place again. Last year they donated more than $3,400 to help keep the free Tripawds community online and fund our various ongoing programs. Will you help That Pet Place break their record this year? This year, all the pawesome Pet Place employees will be working hard all month to raise at least $5,000 so we can keep providing these free programs to help Tripawds everywhere. Visit That Pet Place in Lancaster, PA to purchase a ribbon for just $1.00—or more. 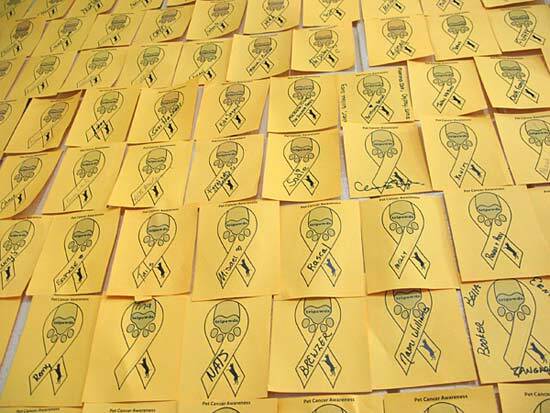 Write a name on the ribbon to pay tribute to a cancer hero you’ve known. Or just jot down Tripawds Rule, in honor of all the three legged Heroes and Angels. Can’t make it to Pennsylvania? No problem! Make a charitable contribution here for any amount. Add a note about the Pet Cancer Awareness campaign, and we’ll be sure to give a shout out to That Pet Place. Read the announcement from That Pet Place for details about their Pet Cancer Awareness fundraiser. Then follow The Pet Place Facebook Page for updates throughout the month. 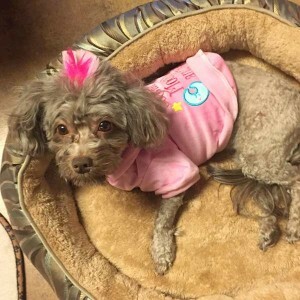 “The Tripawds Foundation is a volunteer based organization that provides help for dogs and cats facing a cancer diagnosis and/or amputation and prepares them for a healthy recovery and happy life on three legs. 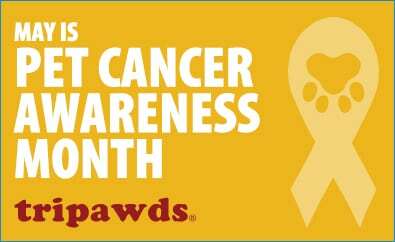 Together, we can help raise awareness about cancer in pets—and continue helping Tripawds and their people everywhere! Support Tripawds to Honor Pet Cancer Angels & Heroes! Proactive team, and compassionate too! I’m sjre walking in a d seeing all those “ribbons of love” for the cause had to feel sooo good! Thank you for caring enough to take action! And thank you Heather and Barret for getting it started! Yeah! This warms my heart! That is so Pawesome! 🙂 Thank you. Thank you. Thank you. So excited to see that That Pet Place is doing the fund raiser again this year!! Bud and I will definitely be going there to get our ribbon soon! !